Since the beginning of time, marketers have understood that location matters. From putting guys on corners wearing sandwich boards to having airplanes dragging message banners, marketers use proximity marketing to snag hot prospects and leads when the moment is hot. Knowing where your customers are has never been easier, thanks to their own smartphone's internal GPS. Now you can target those prospects who are in the same state, city or even the same block as your salesman. Through geo-fencing and iBeacons you can even send a message to them the moment they step inside your store -- or try to lure them out of your competitor's store too. The flip side? You risk creeping out and alienating your customer base. Don't know where to start? Want that next great idea? Our experts will talk through the basics to master level geolocation triggers through mobile marketing automation in a fast-paced discussion. Register today! * Understand how competitors may be luring your customers out of your business through their own geo-fencing activities on your own home turf. 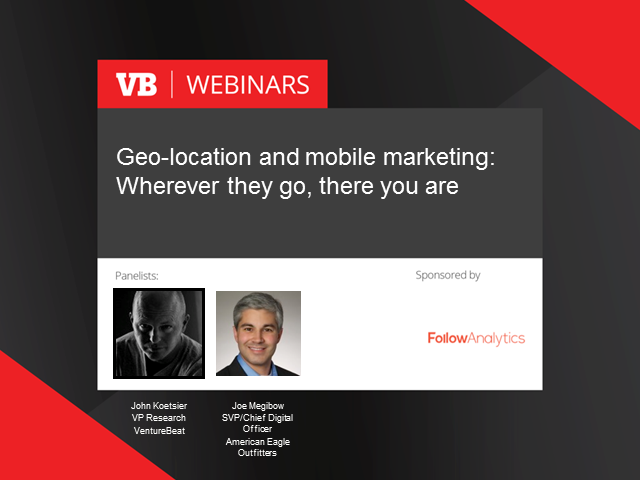 Register today for this free discussion on how geo-location mobile marketing automation can take your marketing initiative to the next level.